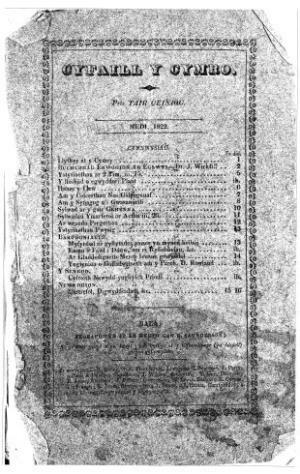 A monthly Welsh language religious and literary periodical that published abridged versions of the main articles in Y Gwyliedydd. The periodical's main contents were religious articles, poetry and articles on the natural world. The periodical was edited by Rowland Williams (1779-1854), Richard Richards and Robert Phillips. Associated titles: Y Gwyliedydd (1822).